Minor pilling. Easier felt than seen. 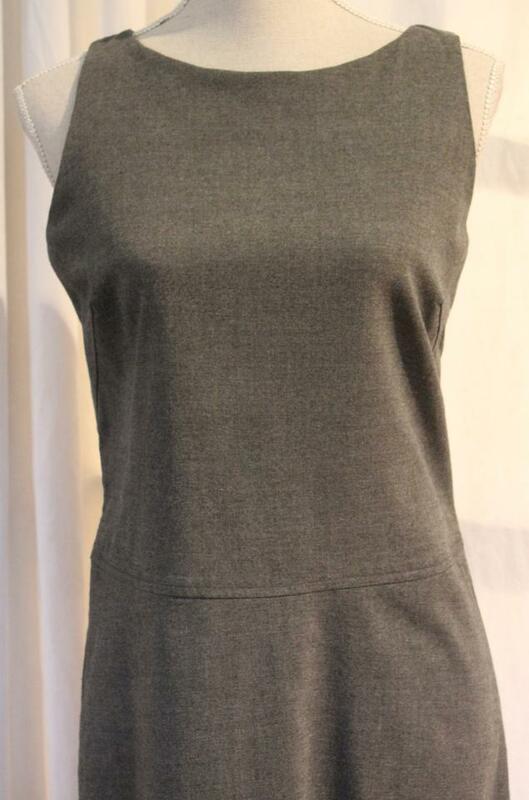 This drop-waist dress by Allen Allen is perfect for the office. It can even go casual with a pair of sandals. This dress is a snug size 6. It is about 45" long. Darts help shape the bodice.